Earlier this week, TimesCity acquired Dineout, the table reservation system. Where TC has moved a step ahead for offering a 360 degree solution to its consumers in lifestyle and food domain, Dineout has found a final abode. We caught up with Ankit Mehrotra, one of the four co-founders, to understand what it takes to sell a brand which one has created from scratch, on the future of Dineout post acquisition, the story and the domain in which startup operates. Though founders clearly declined to comment on the deal value, several sources who have been around during the deal have confirmed the amount. Inc42: Undoubtedly, it was a big exit for you. How it all happened? Ankit: Our deal, which is the largest non e-commerce deal in India till date, took nearly 6 months to finalize. And even though, it was a long 6 months, I still remember very clearly that it all started with a very casual conversation between the two teams. In one of our regular meetings with timescity, we (Sahil & I) were introduced to MitenSampat, Business Head of TimesCity, for the first time. And right from the get go, we were highly impressed with Miten and his vision of delivering a full service experience from discovery to destination for the timescity brand. And I guess he was equally impressed with us and what our team had managed to accomplish, as we had built a great platform that enabled consumers to save time, money, and get a special experience every time they dined out. One thing led to another, until one day, Miten, made an offer to acquire us and merge the two entities. Stunned, we sat there contemplating this huge moment. We had a big decision to make in front of us. On one hand, we were actively looking to raise an institutional round of funding for further expansion and receiving a lot of interest. On the other, we had an opportunity to merge with one of the largest internet companies in the country, and build dineout faster than we could have ever imagined. 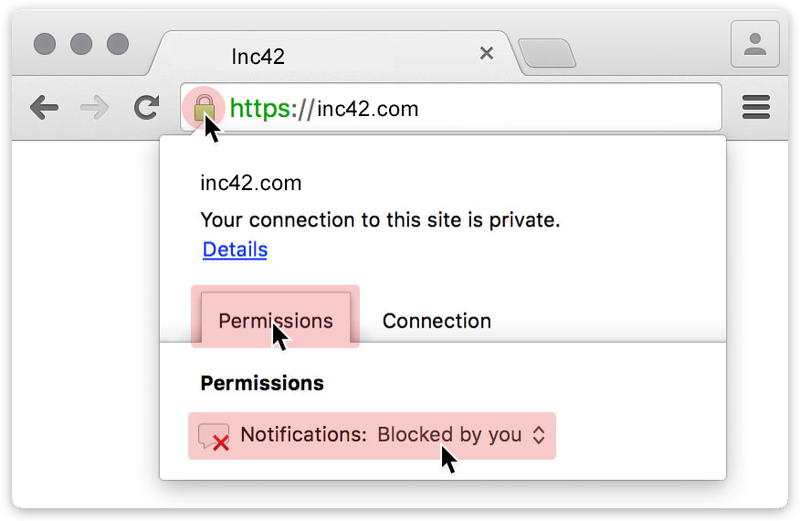 Inc42: What’s next? How will Dineout operate post-acquisition? Ankit: One of the most important deciding factors for us was the promise that we will continue our operations in the way we had been doing till now. So in that respect nothing changes. Some of the things that are coming include a brand new social layer, which will help users see where their friends are dining out, along with the added advantage of being able to invite their friends to join them for a meal. Additionally, we will also introduce a much improved personal recommendation engine based on user inputs gathered from timescity.com. In fact, this move will help us expand faster across geographies, grow much quicker and also improve our technology and user experience. Inc42: Prior getting acquired, what were the various statistics of the traction on the platform? Ankit: Dineout, as a platform, has grown considerably since its launch. Currently we are seating approx 18,000-20,000 diners across our 450+ restaurants and have seated approx 200,000 diners till date. We accept reservations online, through the phone at our call centre, and on mobile using our apps and mobile site. We were getting nearly 60% of our traffic through the web and mobile. Inc42: What made you to come up with a table reservation startup? Ankit: It all started from a phone call, I made to my co-founder, Sahil Jain. Having just returned back from a holiday in Delhi, I was sitting at my desk, at a top Investment Bank in London, staring at the Bloomberg screens and looking at countless charts and graphs. Looking back at my trip, I realized that every time I went out with my friends in Delhi, it was to the same places I had already been to previously and did not actually go to any new place. Sharing this with Sahil, I figured this was due to a number of reasons, mainly; The lack of information about any new place which might have recently opened, reluctance of my friends to try a different place for the fear of being let down and probably the most important, lack of a truly unique, independent website which a person could use to find out about where to dine out in the city. And thus began the long and arduous journey!!! And then one fine day, we both left our jobs and returned back to India and thus dineout was born. Inc42: How do you see market opportunity is this space in India in comparison to the US? Ankit: When we talk about restaurant reservations online, we talk about opentable, which is considered the poster child of online restaurant reservation. Obviously, the market in the US is much more advanced when it comes to the use of such service. Opentable alone seats over 12 million diners per month via online bookings across approximately 28,000 restaurants and contributes more than 400,000 reviews each month. What this clearly demonstrates is that people value the service opentable provides as it provides convenience and also saves time for the customer. My belief is that the consumer behavior in India is probably 3-4 years behind the US and with the middle income group nearly double of that in the US, the opportunity in India is huge. Inc42: Do you think there is space for other players in this market? Ankit: Unlike e-commerce, where a user is spoilt for choice and can choose to buy from various makes and models of consumer goods, a person would normally make a booking for only one restaurant at any particular time. And if we are the platform which provides him with all the available options and helps him choose and book, I believe that it will be very difficult for another player to exist. This was one of the major reasons that we decided to go ahead with this deal as it accelerates our growth and potentially will provide us the opportunity to become the number one player in this space. This is why Opentable is the number one restaurant reservation service in the US and no one knows who the number 2 is. Inc42: According to you what are the challenges of building a consumer centric product in India? Ankit: From the experience of building dineout, the key to building a good consumer centric business in India is customer service/experience. The modern Indian consumer is very aware and very fickle minded. They are always on the lookout for the best value and the best experience. And with most customers, one chance is all you get. And to ensure that you differentiate yourself from your competitors, you have to always ensure that you are able to satisfy the customer. And therein lies the biggest problem. To make sure that the customer satisfaction level does not drop as one scales their business. In our case, our mission was to ensure that a customer has a great experience every time they dine out. And we made sure that we delivered on this. Inc42: If Dineout wouldn’t have got acquired, what would be the future aspects of the company? And how these changed post acquisition? Ankit: When we had started up, we had never believed nor would have probably wanted such an exit after 2 years. In fact, we had raised a round of funding earlier and were about to close on another round of funding. Opentable is considered the poster child of online restaurant reservation. And our vision was to build something similar for India. This is what we had set out to do 2.5 years back. We had spent the last 2 years perfecting the model and expanding to Delhi & Mumbai. Our vision was to take this pan India and expand to at least 6 cities before the end of the next year. And this is why we were raising funds. The deal with Times, provided us exactly this opportunity. And this is one of the main reasons that we went ahead with the deal as we still get to realize our vision. The way the deal has been structured, we will continue to operate as an independent unit within timescity and we look forward to creating the largest table reservation service in India. So from our perspective nothing much has changed except having the advantage of the Largest consumer internet company in India with us. Ankit: Hahaha… We would not have gone ahead with the deal if we wouldn’t have thought so!!! According to me, fulfillment is the natural progression from discovery and today you want to be able to provide your customer with the complete end to end experience. And this is exactly the vision MitenSampat, Business Head of TimesCity, projected. We were highly impressed with his vision of delivering a full service experience from discovery to destination for the timescity brand. And this was one of the deciding factors for us in agreeing to the deal. Inc42: Important funding/Acquisition lessons for entrepreneurs from your own experience? Ankit: It is obviously very good for any business to raise funding. It validates the founder’s vision & tenacity, and also boosts the confidence of everyone associated with the venture. It constitutes an important milestone in the evolution of a start-up. . However, the one thing that it definitely does is, and is good for everyone, is, make you accountable for each and every rupee spent. However, even more important for a startup is to go through the bootstrapping phase as it teaches one very valuable lessons like designing cost effective innovative marketing campaigns and how to stretch each rupee spent. In fact, for the first 12 months, we had been bootstrapping. As individuals, who had been earning very well previously, we had to now start digging into our savings to fund our venture. And the difference could not have been starker. We were constantly on the edge, trying to get the maximum out of each rupee spent. We had to cut down on our personal expenses, compromise our lifestyle, all for the benefit of the company. We worked out of Sahil’s garage to save money on rent, started travelling by public transport to save money spent on petrol. And all the money saved went towards growing dineout. Having said that, the most important lesson I have learnt from our experience is never to walk away from money on the table. It is better to raise money when you don’t need it than to try and raise it when you are desperate for funds. Out of the four founders, one of us was always going to different competitions, pitching at different events, meeting different investors as we recognized the importance of doing this. Because, the more events you go to, the more people you pitch your idea in front of, the better your chances of meeting an investor. Inc42: More Funding rounds, more traction, a bigger brand and a much bigger exit. Don’t you think that strategy could have worked for you much better? Ankit: Before making any decision, one has to look at the pros and cons. And in fact, a lot of people have asked us this question. And arriving at this decision was not easy. However, looking at this option objectively, devoid of any personal emotion relating to dineout, helped us arrive at this decision. As a company, we already had an investor on board. This means that we were already diluted. During our next round of funding, which would probably be good for 18-24 months, we would have to again dilute approx 20% equity. After that we would have tried to raise a bigger round which would have meant further dilution. And at the end of it, the founders would have been typically left with 30%-40% equity, which is what happens for a typical venture funded company in India. Comparing this to our deal, we were being given the opportunity to lock in a similar value today. What this means is that we know exactly what the potential payout for us can be as opposed to a random value which we might or might not have gotten in the future. Also, what this does is allows us to concentrate on building the brand and the business without always having to worry about raising funding or running out of money. Hence this move has provided us with financial stability, the muscle of the Times Group and the freedom to continue building our business the way we were doing earlier. All in all, an excellent deal in our opinion. After all, it better to have one in the hand than two in the bush!! !